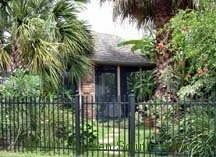 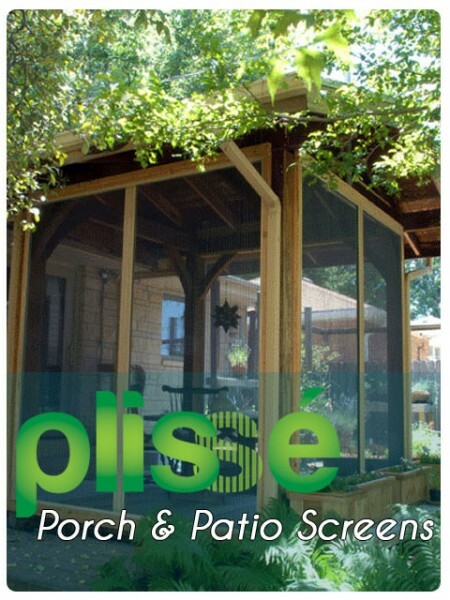 The Plisse retractable screen is the perfect solution for screening in a porch or patio. 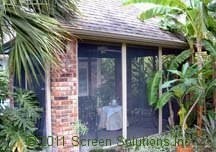 Many of our customers have used our disappearing screens in varying sizes and styles to produce a final result that is unique to their aesthetic and functional needs. 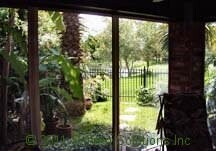 With the use of retractable door screens (and sometimes in conjunction with retractable window screens) customers are able to fully screen in a porch or patio sometimes and then other times, like when not using the space, leave it open completely open. 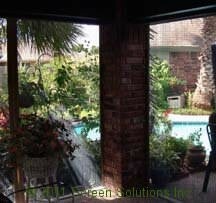 They find that they can have all of the benefits of a screened in porch without the hassle of upkeep (since the Plisse is stowed neatly away from the elements when not in use). 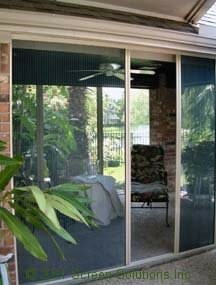 And they can still access their outdoor space whenever they like. 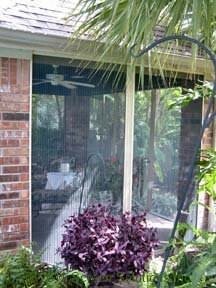 Browse through the gallery here to see some examples of how Screen Solutions customers have creatively used our Plisse retractable door and window screens to make a unique and pleasant outdoor space in their home.